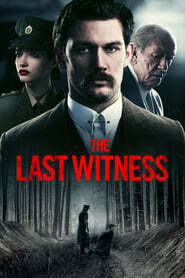 Piotr Szkopiak’s The Last Witness is the latest cinematic attempt to reckon with the Katyn massacre, the horrific mass execution of an estimated 22,000 Poles—mostly members of the Polish officer corps, but also large swathes of Poland’s intelligentsia, bourgeois, and 5th Passenger clergy—by the Soviet Union in 1940, many of whom were buried in mass graves in the Katyn forest in western Russia. The most notable previous one was Andrzej Wajda’s Katyń (2007), a two-hour drama that reconstructed the killings through the eyes of the victims’ friends and relatives. The Last Witness is similarly incapable of directly facing the slaughter, choosing instead to give glimpses of the trauma it left on the few survivors and only featuring, at most, five minutes of reenactments. 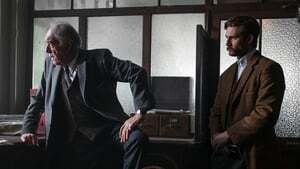 Szkopiak’s methods are more deliberately palatable for general audiences, framing the film as a traditional mystery-thriller that just happens to center on historical events. 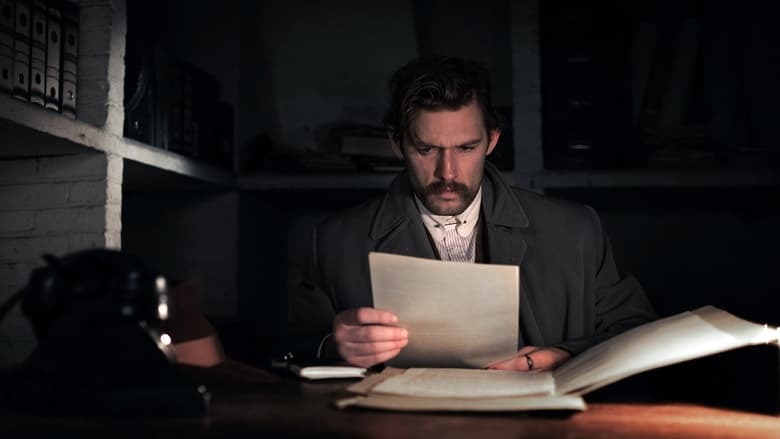 Set in Britain in the immediate aftermath of World War Two, we follow Stephen Underwood (Alex Pettyfer), a dour yet idealistic reporter for a small newspaper who smells a story when a suspicious number of Polish soldiers from a local Displaced Persons Camp commit suicide. Despite his editor’s objections, he follows his nose to the camp and the nearby town where he discovers Michael (Robert Wieckiewicz), a Russian refugee from the Katyn region masquerading as a Pole. When Michael refuses to explain why he’s so terrified of being found out by the British authorities, Stephen breaks into the camp at night, rummages through Michael’s meager belongings, and steals a journal he recovered from the body of one of the murdered Polish officers executed near his village. Stephen quickly finds himself in the middle of a massive cover-up conspiracy orchestrated by the Allies who knew about the killings years before the end of the war, but framed the Nazis in order to appease their tenuous Soviet allies. The new postwar British government is particularly keen on tying those loose ends up—loose ends like Michael and nosy reporters like Stephen. It’s to Szkopiak’s credit that the film takes great pains to transcend the regular trappings of the thriller genre, preferring quieter character moments and emotional extremity over action or suspense set-pieces. Yet his intentions are hobbled by the inclusion of a painfully forced love triangle between Stephen, his lover Jeanette (Talulah Riley), and Jeanette’s husband Captain John Underwood (Gwilym Lee), Stephen’s brother. The moments of romantic tension are groan-worthy and detract from the nightmare of the discovered killings and the monstrosity of the cover-up threatening Stephen. Darc It’s a simple case of emotional triage: mass murder and international espionage are more important than the love lives of thirtysomething British people. These things should not be treated equally, and yet they almost are. Additionally, Szkopiak giving Stephen any kind of love-life seems like a betrayal of his central purpose as a vehicle for gradually revealing the truth about Katyn—he’s not well-defined or likable enough as a character to bear the weight of such soap opera histrionics. The last twenty minutes of The Last Witness may be devastating, but the rest of the film struggles to justify them.